NovaLead Pharma Pvt. Ltd. announces commencement of double blinded, multicenter Phase-3 study of Galnobax® for Diabetic Foot Ulcer, which is a global unmet medical need. Earlier clinical trials conducted by the company demonstrated promising efficacy and safety of Galnobax® in treatng diabetic foot ulcers. Galnobax® is a repurposed generic drug molecule with a long safe history of human use. This Phase-3 human trial being conducted on 350 patients of DFU is partly supported by Grant-In-Aid by the Government of India. The results from trial are expected to be used to support registration and market approval in India and other developing markets. NovaLead is a drug discovery research company focused on discovering new indications for generic drugs. Enabled by proprietary technology platform, NovaLead's drug repositioning approach is targeted at finding new biological targets for generic drugs, thereby discovering new indication possibilities. This approach is distinctly differentiated from conventional line extension strategies. NovaLead's business development and outsourced research services are managed by its wholly owned subsidiary - Novalead Pharma Inc., USA. NovaLead's discovery pipeline has an addressable market estimated at over US$ 10 billion p.a. The lead candidate in the pipeline is Galnobax®, which is a topical gel for the treatment of hard to heal Diabetic Foot Ulcer (DFU). The recently concluded global Phase – I / II clinical trial has demonstrated that Galnobax® has successfully met both primary and secondary endpoints for safety and efficacy. Given the limitations of existing therapies for DFU, Galnobax® is looked at as a ray of hope by millions of DFU patients worldwide. Entire discovery research of NovaLead is done in-house and entire biological validation is outsourced to service providers with specific expertise around the world. The commercial model of NovaLead is to outlicense / partner its discoveries after first human proof of concept. Headquartered in Pune - India, NovaLead is funded by top tier venture investors from India and Europe. Galnobax® is a topical gel for non healing chronic wounds of diabetics. Psoriasis candidate is application of an FDA approved generic drug molecule. Galnobax® is a topical gel for non healing chronic wounds. Galnobax® is a repurposed generic drug molecule, which has recently completed global Phase- I / II clinical trial in diabetic foot ulcer (DFU) successfully meeting both primary and secondary endpoints for both, safety and efficacy. The data from Phase I/II trial substantiates pre-clinical findings that Galnobax® re-triggers natural wound healing processes impaired due to diabetic condition. In India the Phase III has commenced in Nov 2018 and the Global Phase II-B trial is to commence in 2019. World over, more than 392 million people have Diabetes, expected to rise to 592 million in 2035. About 15% of them suffer from DFU at least once in lifetime, with 25% of DFUs eventually requiring amputation. DFU is a leading cause of lower extremety amputation. Every 20 seconds somewhere in the world, a lower limb is amputated due to DFU. Five year mortality post amputation is 46%. DFU remains a serious disease with very limited drug options and very high cost of treatment. DFU imposes substantial burden on public and private payers, in the range of US $9-$13 billion in US alone. Due to rising number of diabetics globally, the DFU treatment market is expected to cross US $ 3.5 Billion by 2019. NovaLead team has discovered novel anti-inflammatory activity for an FDA approved generic drug molecule having potential for inflammatory skin diseases like psoriasis and dermatitis. The discovery of the indication was achieved by extensive use of in-silico RVHTS technologies. A series of experimental validations by in vitro studies also confirmed the activity of the candidate for psoriasis. The candidate NLP91 is under further pre-clinical validations in animal models. Psoriasis is a chronic skin disease that 2-3 % of the global population. It is the most prevalent autoimmune disease in the U.S. with more than 7.5 million Americans affected (~ 2.5% of the population). The disease negatively impacts quality of life for majority of patients. Broad level Psorisis and related market is expected to reach $8.2 Billion in 2020. Many biologics approved for arthritis are in use for treating severe posiriasis. There are fewer drugs for treating mild-to-moderate psoriasis, which constitute more than 70% of psoriasis cases. Due to limitations of these drugs, there is a dire need for an effective and longer lasting treatment for mild-to-moderate psoriasis. 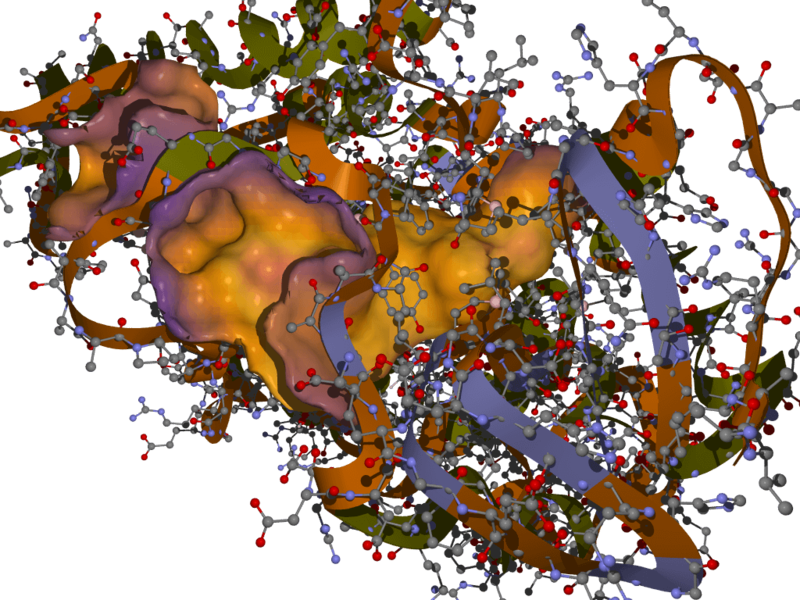 The Reverse Virtual High Throughput Screening (RVHTS) blends structure guided and ligand based drug design and screening approaches. 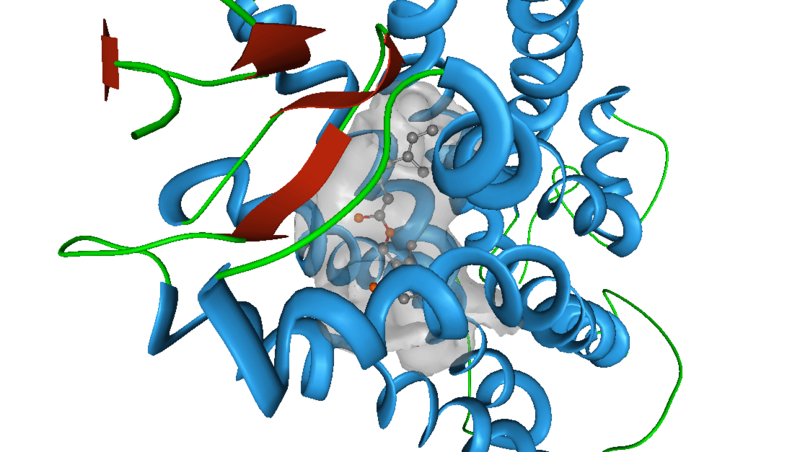 It includes methods for flexible receptor-drug docking interaction analysis, molecular shape based similarity identification, molecular fragments to activity relationship studies and active site structure analysis to name a few. 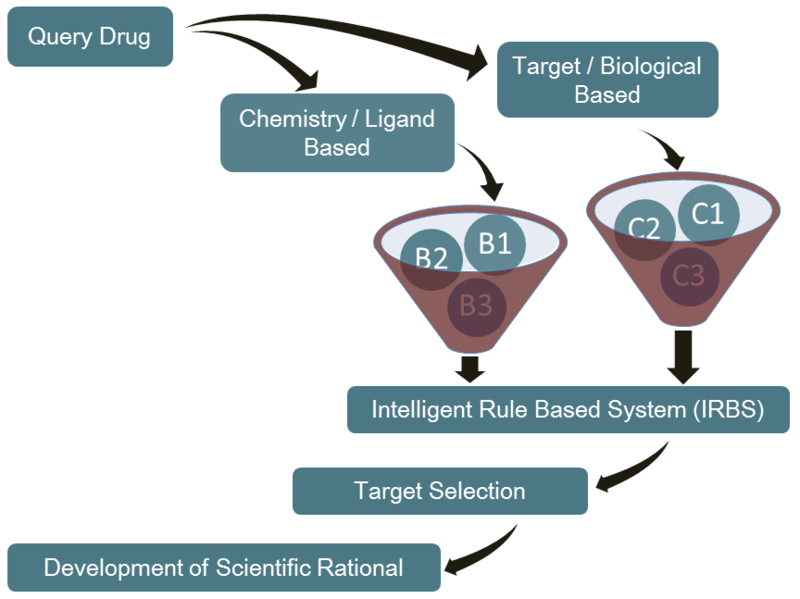 Besides this, it employs extensive drug-disease-target knowledgebase which is acompendium of databases of FDA approved drugs, validated drug targets, mechanism of actions for various diseases and the intelligent correlations between these datasets. The platform set up consists of modern multi-core parallel processing cluster which churns millions of molecular simulations to deliver an all inclusive interaction analysis. NovaLead believes in the spirit of partnership and collaboration. We are open to explore partnering as well as licensing alternatives. We expect our drug candidates to follow the 505(b)(2) route for FDA filing and similar regulatory paths for EU, Japan and other regulated markets. Beside the product candidates in our pipeline, we are also open for customer-driven collaboration. We can help you find novel indications of existing drugs, using our proprietary discovery platform. 12 Nov 2018: NovaLead Pharma Pvt. Ltd. announces commencement of double blinded, multicenter Phase-3 study of Galnobax® for Diabetic Foot Ulcer, which is a global unmet medical need. Earlier clinical trials conducted by the company demonstrated promising efficacy and safety of Galnobax® in treating diabetic foot ulcers. Galnobax® is a repurposed generic drug molecule with a long safe history of human use. This Phase-3 human trial being conducted on 350 patients of DFU is partly supported by Grant-In-Aid by the Government of India. The results from trial are expected to be used to support registration and market approval in India and other developing markets. 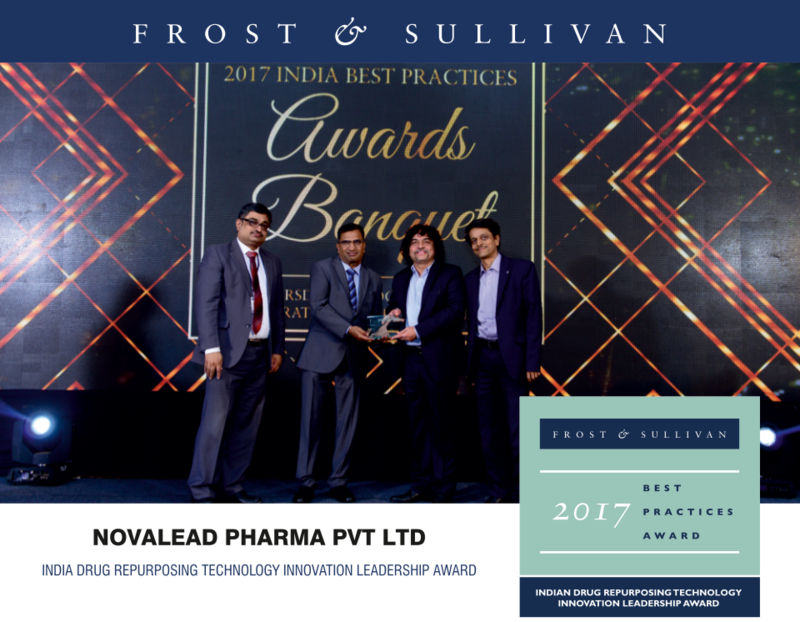 NovaLead receives "Frost & Sullivan's Indian Drug Repurposing Technology Innovation Leadership Award 2017"
Novalead Pharma has been selected by Frost & Sullivan, leading global industry tracking firm as Best Technology Company in Drug Repositioning for the Year 2017. The award was received by our CEO Mr. Supreet Deshpande in presence of distinguished business and industry leaders in a glittering function held on 05 Oct 2017 at ITC Maratha, Mumbai. 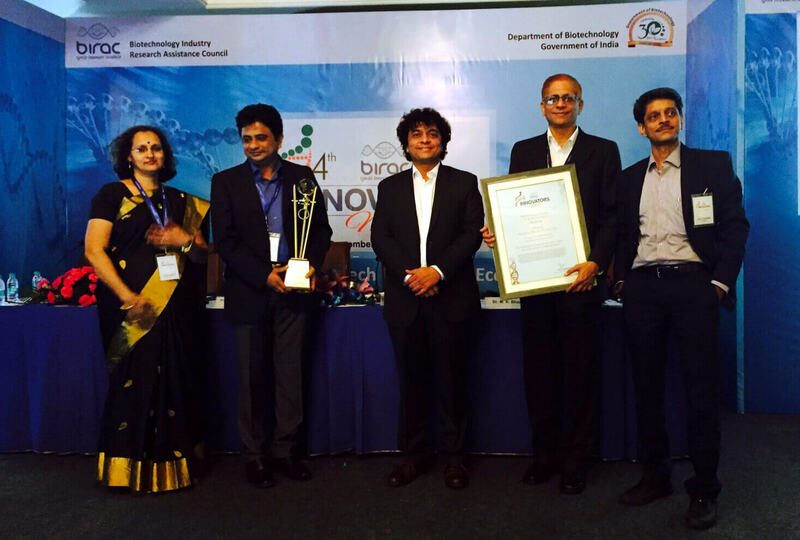 Previously in 2015, NovaLead Pharma also received the Best Innovation Company BIRAC award from DBT. 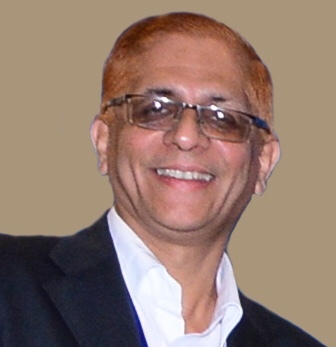 Mr. Deshpande’s interview conducted by Frost & Sullivan will be shared in coming days. NovaLead receives "DBT-BIRAC Innovator Award 2015"
NovaLead team is pleased to inform that the company has been selected for the “BIRAC Innovator Award 2015” from DBT, Govt. of India in recognition of the significant contribution made towards the high level of innovation research for “Determining safety, effective dose and frequency of application of Galnobax®”. The selection has been made by an eminent Jury set up by the Secretary, DBT & Chairman, BIRAC and the award will be conferred during the Inaugural session of “4th BIRAC Innovators Meet” to be held on 15th – 16th September, 2015, at Heritage Village Resort, Manesar, Gurgaon”. "We are delighted at being selected for BIRAC Innovation Award - 2015 in healthcare. This award underlines the national relevance of our investigational drug product Galnobax® for diabetic foot ulcer. It is also a validation for NovaLead's innovative research approach to find new therapeutic products for unmet and hard to treat diseases. I congratulate the entire NovaLead team on this momentous occasion." NovaLead is an equal opportunity employer with a stimulating work culture that fosters creativity and innovation. At NovaLead, the vision of contributing to a healthy, happy and convenient life for humanity is reflected in the working environment. We firmly believe that freedom of initiative and thinking are the fundamental rights of creative minds to excel in what they do and in what we stand for as a company. 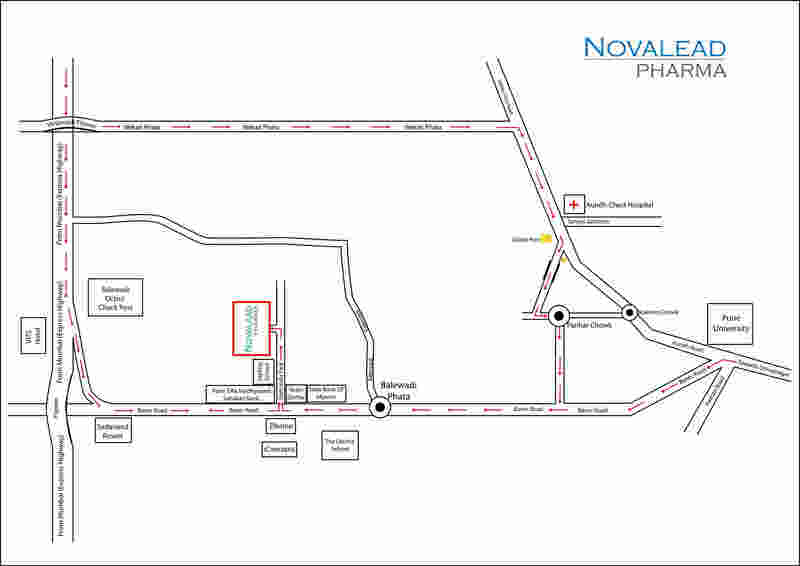 NovaLead Pharma Inc. is a wholly owned subsidiary of NovaLead Pharma Private Limited, Pune – India (Indian parent company). It is located at 433, South Street, Shrewsbury MA 05415. 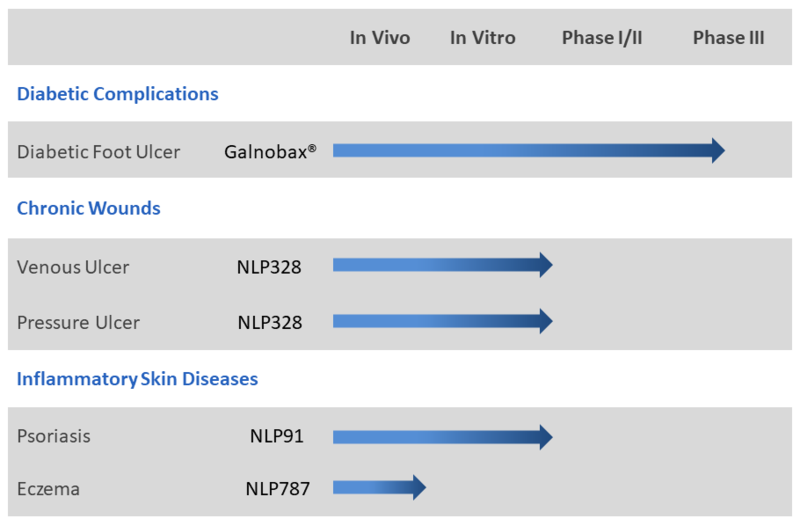 Phase II B clinical trials for parent company’s discovery, Galnobax® which is a repurposed drug for Diabetic Foot Ulcer. The right to develop this discovery for USA is with Novalead Pharma Inc. The actual clinical trial conduct will be outsourced to third party CRO in USA. Preclinical studies and subsequently, clinical Phase I/II trial for NLP-91 for Psoriasis in USA. The patent for this discovery is already filed by Novalead Pharma Inc. The actual clinical trial conduct will be outsourced to third party CROs in USA and research labs preferably within MA. To manage preclinical studies for other candidates in discovery pipeline of the parent company in USA. The actual biological validation will be outsourced to third party research labs preferably within MA. Galnobax®: India Phase III has commenced in Nov 2018 and the Global Phase II-B is to commence in 2019. Patent filings for the Company and its Indian parent company’s discoveries across the world in consultation with Patent attorneys based in USA from time to time. Currently, the company works with Crowell and Moring LLP, Washington DC. 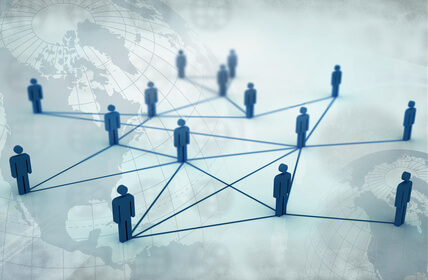 Oversee company’s collaborative research programs with government research institutions and universities in North America. Copyright © 2018 NovaLead Pharma Pvt. Ltd.
Homi Khusrokhan serves as a Senior Advisor of Private Equity at Tata Capital. He served as the Managing Director of Tata Chemicals Ltd, Tata Tea Ltd and Glaxo India Limited. He has been a Non-Executive Director of ICICI Bank Ltd., Fulford India Ltd., Tata AIG Life Insurance Company, Rallis, Samson Maritime. He has wide experience and epertise in modern management and accounting techniques, international business and mergers & acquisitions. 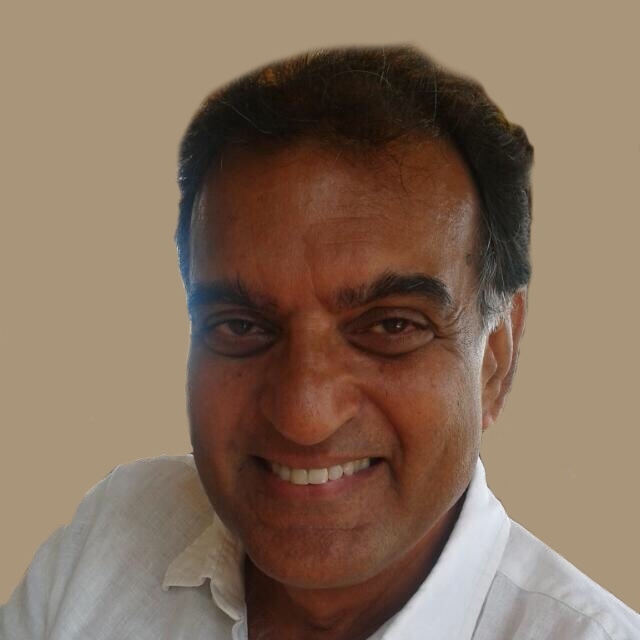 Chairman of the Chellaram Group, Lal Chellaram is a highly respected entrepreneur having developed a wide range of international businesses including Shipping, Property investment, Consumer manufacturing and Electronics distribution. The Group has an extensive global reach from China and Japan to India, Africa and Europe. Lal Chellaram is a passionate philanthropist bringing his vast business expertise to achieve maximum impact from the Group’s various charitable endeavours. He established the Chellaram Foundation which provides poverty relief, educational support and medical care to the poor and dispossessed. It includes the Chellaram Diabetes Institute & Hospital which seeks to combat diabetes through its research, treatment, awareness and outreach programmes from its base in Pune. Ms. Visalakshi Chandramouli has over 16 years of experience in the Indian healthcare financing industry and the pharmaceutical industry. At Tata Capital Private Equity, she leads the healthcare team and drives the fund raising and investment management activities. Visalakshi is a Chemical Technologist from U.D.C.T and holds a M.B.A. in Finance from Mumbai University. She has worked with leading companies like DSP Merrill Lynch, Kotak Institutional Equities and Cipla. Iqbal is the Group Finance Director of the Chellaram Group of Companies. A Chartered Accountant, he spent most of his career the City of London where he was a Corporate Finance partner at Deloitte advising on mergers and acquisitions, IPO’s, private equity and capital raising. Although working with some of the most respected names in the UK financial industry his particular focus was on understanding and helping in the development of entrepreneurial businesses. He joined the Chellaram Group in 2003 where he has been instrumental in developing investment opportunities and in raising and deploying finance. Supreet is the visionary behind NovaLead. With an international career of over 23 years in various senior strategic positions in large companies like Mahindra & Mahindra Ltd and Bajaj Auto Ltd, Supreet is a business development person at heart. Developing new markets, designing and implementing business strategies and leading market linked product strategies are some of the key areas of his contribution. 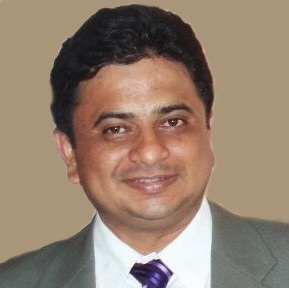 With business development experience in multiple geographies like the USA, Europe, Latin America, Africa and Asia, Supreet brings with him significant learning for building an efficient and result oriented organization.In 2011, Supreet recieved prestigious BioSpectrum Asia Entrepreneur of the Year 2011 Award. This year under Supreet's leadership NovaLead received DBT-BIRAC Best Innovator award in healthcare. Atul is CTO and co-founder of NovaLead. 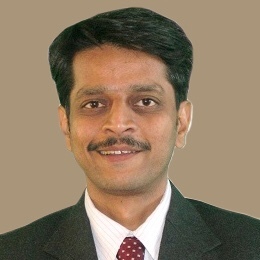 Atul has over 22 years of experience in technology and operations management. Previously he has worked with large international organizations like Fujitsu and Indian software enterprises like ZenSar. With experience of working in Japan, UK and USA, Atul brings an international outlook to the organization. At NovaLead, Atul has been a significant contributor in the evolution of its technology platform and in management of the Galnobax clinical trial. Sudhir has been a backbone of scientific developments at NovaLead. He has been proponent of drug repurposing for past 12 years. He is Ph.D. in Theoretical and computational Chemistry from University of Pune. He did his post doctoral studies at Nagoya University, Japan. He has been faculty at Department of Chemistry, University of Pune for about 7 years. He worked as Senior Consultant at Mahindra British Telecom (Tech Mahindra) before joining VLife Sciences Technologies right from the inception of the Company. Currently he is focussing on development of Galnobax as well as new pipeline products. He has 52 research publications and 5 patents to his credit. 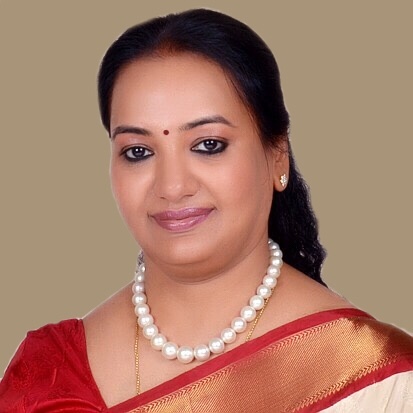 Mrs.Yogini Garud joined NovaLead Pharma on February 1, 2011 as Vice President (Finance) apart from being Head of Finance; she also looks after Legal, HR and Admin functions.She is an ACA, ACS and holds M.Com Degree from Pune University. Mrs. Garud has served several organizations in past including M/s Sharp & Tannan and M/s Deloitte Thoushe and Tomastu. She has more than 22 years of experience in the profession. 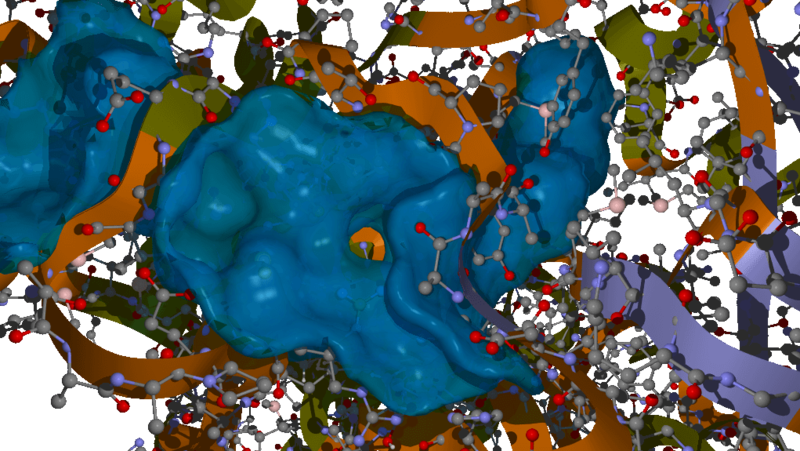 Kamalakar has over 16 year experience in the field of computer aided drug design. 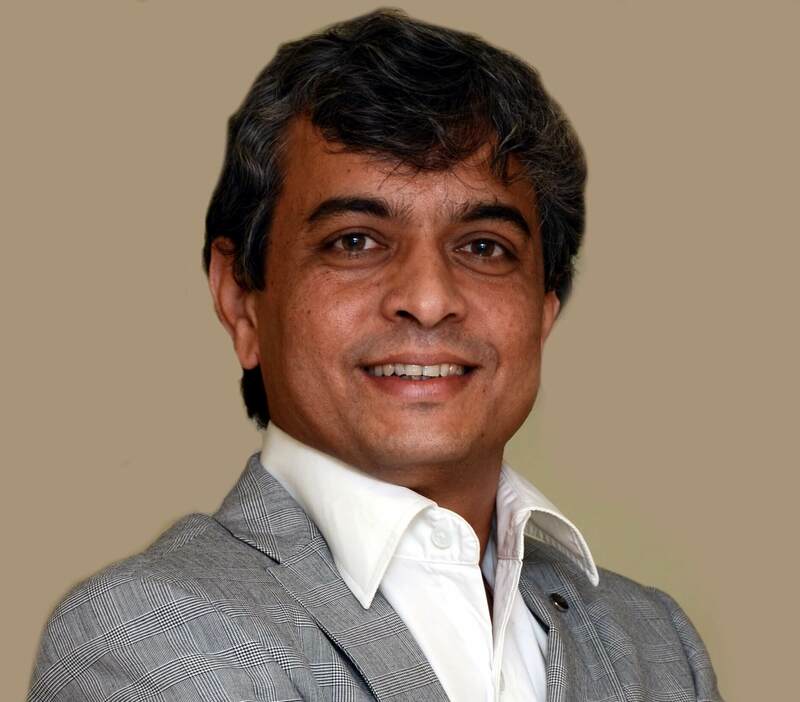 He has a Masters's degree from the Interdisciplinary School of Scientific Computing, Pune University and holds two technology patents as a co-inventor and several research publications. From his current position as VP, Technology he is in charge of the various activities related technology development and technology based services.